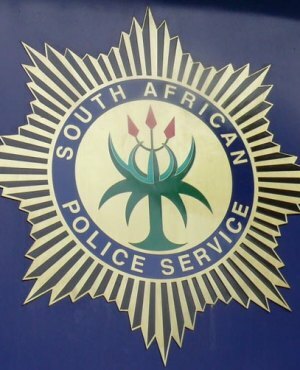 The deputy national commissioner of police, Lieutenant General Sehlahle Masemola, has assured members of Parliament's Portfolio Committee on Police that come the elections in May, members of the South African Police Service (SAPS) will be fully capacitated to "police the country". Masemola was addressing the last meeting of the committee on police for the fifth Parliament ahead of the general elections on May 8. He, along with other members of the police delegation, told the committee that the last roadshows to determine the state of readiness of police in provinces would be held in early April after which they would be ready to make sure that the elections are peaceful. Currently, the police are dealing with internal labour disputes after officers expressed unhappiness with the promotion process. Masemola said a committee had been set up to deal with the police's labour issues and that internal disputes would be resolved by the time South Africans headed to the polls. "I can confidently say that we are ready to police the country come election day," Masemola told the committee. "For now, the country is quite stable. We continue to receive intelligence reports from the State Security Agency, [which is] monitoring any threats the country might face and they continue to give us feedback." According to Masemola, more than 22 000 voting stations have been recorded by the police. He said it was crucial for them to ensure the establishment of uncompromising security measures; limiting the probability of incidents occurring and limiting the impact of any incidents occurring through contingency planning. He said generators would be provided at certain voting stations in collaboration with the Independent Electoral Commission of South Africa and Eskom. He was responding to a concern raised by an EFF MP following several days of rolling blackouts by Eskom. He also assured MPs that there would be enough police personnel and appropriate operational plans to deal with power failure at voting stations should the need arise. While the top brass faced the committee, about 150 supporters of the newly formed South African Police and Allied Workers' Union picketed outside Parliament. One poster read: "No rank, no vote, absent on elections." There were also several posters calling established police union Police and Prisons Civil Rights Union (Popcru) "sellouts" and expressing disdain for Police Minister Bheki Cele. Popcru is not participating in any strike action. Uniformed police officers formed a line between the plain-clothed protesters and Parliament's gates. Portfolio Committee on Police chairperson Francois Beukman came outside to receive the picketers' petition.